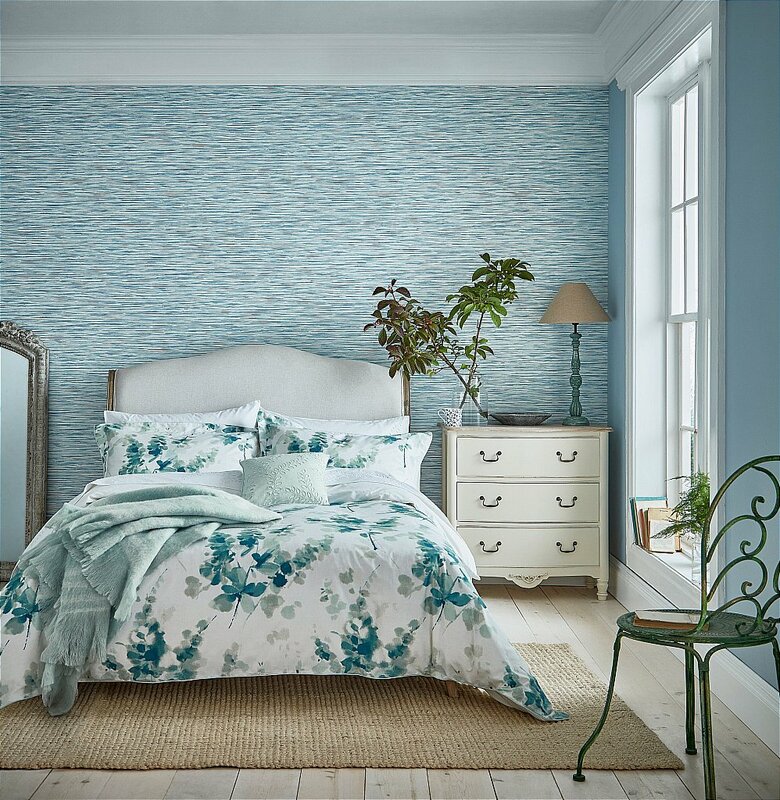 An abstract floral design, Delphiniums is painted with energetic brushstrokes in a beautifully fresh colour palette of mint green and aqua blue tones. Digitally printed on a smooth 200 thread count cotton percale, the range includes a duvet cover and oxford pillowcase edged with a fine cord piping, a cotton accessory cushion featuring an intricate embroidered leaf trail and a striped mohair style blanket with deep fringed edges. The white Trailing Jenny embroidered flat sheet and pillowcase work as the perfect complement. Composition: Duvet and Pillowcase: 100 percent Cotton Percale. Cushion: 100 percent Cotton Slub. Blanket: 60 percent Wool, 25 percent Acrylic, 22 percent Polyester, 3 percent Nylon. I would like more information about Delphiniums Bedding in Mint by Sanderson.